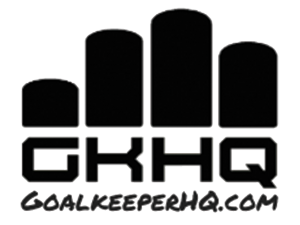 Last weekend saw two examples of how important the goalkeepers are. Both Kelvin Davis of Southampton and Arsenal’s Wojciech Szczesny had terrific games to earn victories for their team. This extract from Richard Sutcliffe’s report in the Yorkshire post sums up the Southampton Goalkeepers performance. On the balance of play and chances created, Leeds should have won the game at a canter. That they did not was down almost entirely to a once-in-a-lifetime display from Southampton goalkeeper Kelvin Davis. Time after time, Leeds looked like making the breakthrough only for Davis to keep them at bay with a stunning save or defiant block. No wonder, therefore, that the final whistle was met by not only a fully deserved standing ovation for the United players from their supporters but also the sight of Saints players and coaching staff racing towards Davis. The veteran goalkeeper was, within seconds of referee Nigel Miller calling a halt to proceedings, buried underneath a mass of team-mates before emerging from the scrum to be hugged by his grateful manager. Nigel Adkins running 65 yards to thank Davis was understandable, as without him the chances are Southampton would have returned south on Saturday fearing that the initiative in the Championship title race had swung the way of West Ham United. Certainly, Leeds manager Neil Warnock was in no doubt as to why his first home game in charge had ended in defeat. He said: “I thought the goalkeeper could have won four man-of-the-match awards with that display. You can see what it meant to the Southampton players by how they all rushed towards him at the final whistle.